The 2018 Jeep Wrangler JL has only been on the market for a few months, and yet the price is already increasing by a whopping $750. That’s on top of the fact that the new Wrangler already costs about $3,000 more than the outgoing JK. The Jeep Wrangler has gotten expensive in a very short amount of time. If you were to buy a 2018 Wrangler JK Sport just a few months ago, you’d be dropping $23,995 plus a $1,195 destination charge for a total of $25,190. When the new JL launched, that MSRP jumped exactly $3,000 to $26,995, while the destination charge stayed the same. 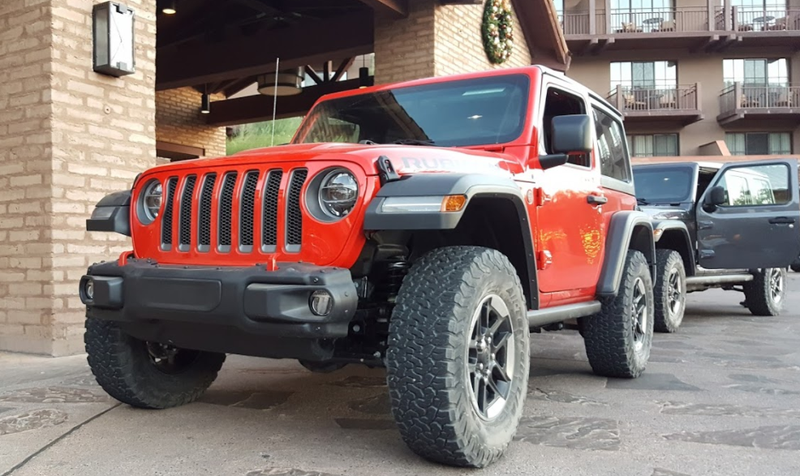 But now, about three months later, Carsdirect has looked at the JL’s most recent order guides, and found that the price has increased $500 to $27,495, and the destination charge is now $250 higher at $1,445. That means the $28,940 base JL two-door sport is $750 more expensive than it was just a few months ago, and a whopping $3,750 more expensive than the 2018 two-door JK Sport. Yes, there’s a nearly four grand price difference between the same model year JL Wrangler Sport and JK Wrangler Sport. And this isn’t just a price hike for the entry-level trim; carsdirect and a Michigan dealership I just called both say all two and four-door trims are now $750 pricier ($500 MSRP hike, $250 destination charge hike) than they were when the JL initially hit the market, making them all between about $3,000 and $4,000 more expensive than their JK Wrangler counterparts. The price of getting into a new body-on-frame, stick-axled Wrangler has never been higher.